← The simple things, a year later. 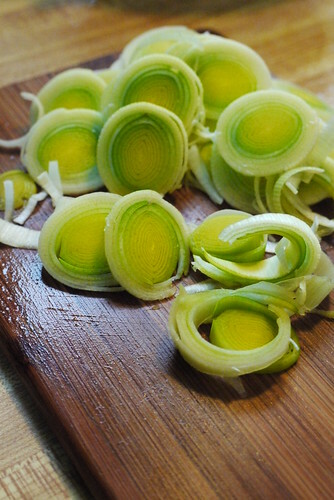 green leeks, originally uploaded by ordinarymoment. My challenge starting today is to post at least one photo + words every week. My lonely snapshots hiding on my hard drive are longing to be dusted off and shared with whomever may stumble across them. Sunday is the first day of Spring, which isn’t always very obvious in Wisconsin. But still, it gives me hope of what always arrives after the end of a long, cold winter. Here, you just need to take the time to notice the subtle signs. Birds sing most mornings now as I head off to work. The sun hangs on a little longer each evening. Patterns of light shift + change in every room of the house. If you look really really closely, you may discover teeny tiny greens poking through the soil. Maybe it’s living in a place where the chilly days seemingly outnumber the warm, but there’s something thrilling about this time of year, like everything is patiently waiting under the earth and inside the branches for the perfect moment to burst forth and announce to all that it’s FINALLY here! Spring, at last. Oh, I cannot wait. It’s as if a part of me has been asleep yet restless, just like the hidden flowers and buds. Waiting to embrace this new season of life. Until then, I will share some favorite photos I’ve taken of green. Because what else better embodies all that Spring is.